Consumer use of tablets for shopping is growing four times faster than smartphones, according to the latest E-Commerce Index from Rakuten, one of the world’s largest online marketplaces and owner of the Rakuten Singapore marketplace. The study of shopping trends in 14 markets shows that tablet usage has grown by 41.9% in the past year, whereas the use of smartphones has grown by just 9.7% during the same period. Rakuten found that 6.1% of people prefer to shop online using a tablet, while 6.8% prefer to use a smartphone. The UK overtook the US as the world’s leading market for tablet use, with 12.2% of the Brits polled saying that they prefer to use tablet, versus 11.3% of American shoppers. At the other end of the scale, shoppers in Brazil have been slower to switch on to the benefits of tablet PCs with just 0.7% of the population preferring to use a tablet when shopping. Despite the growth of m-commerce, the PC remains shoppers’ most popular choice for accessing retail sites, however this is changing. Globally, 81.8% of shoppers use a PC to shop online, compared to 83.2% in 2013. Mobile devices make up 13.8% of this total, up from 12% last year. In Singapore, 82.5% of Singaporeans shop online using a PC, while 14.7% use a mobile device. 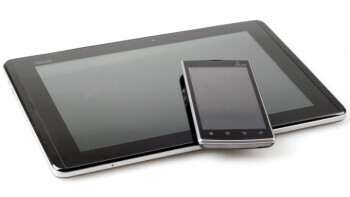 Smartphones remain the top mobile device of choice, preferred by 8% of shoppers, while 5.4% prefer tablet PCs. Surprisingly – despite having the highest smartphone penetration in the region of 87% – Singapore lags behind other ASEAN countries like Indonesia and Thailand where 15.5% and 13.3% of consumers respectively shop on a smartphone. Over the past year, some markets have seen ‘social fatigue’ set in with a very slight drop in the number of people recommending items that they have bought on social networks. The latest Index shows that 41.9% of people recommend items on social media sites, compared with 44% in 2013. Singapore was slightly lower than the global average, with 35.4% of people polled saying that they regularly review and recommend products. In neighbouring Indonesia, an astounding 77.5% of consumers make recommendations, the highest in the world, showing how important the power of social media word-of-mouth is for retailers in that country. Clothing and accessories are the items most commonly bought items online worldwide. Singapore follows this global trend, with 64.9% of shoppers ordering clothing and accessories online, while other popular categories include consumer electronics as well as books and magazines. On the flip side, Singaporeans are least likely to buy large appliances online, with only 3.4% of shoppers preferring to make these purchases.